As summer comes to a close, so do the days basking in the sun and the bronze glow of a natural tan. 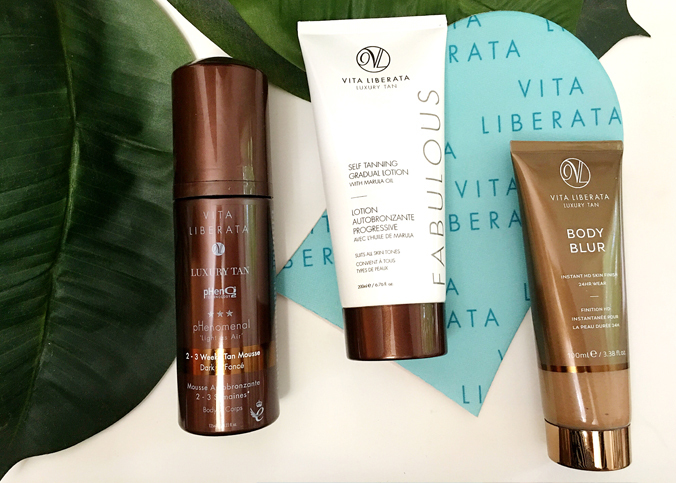 Now, keeping that perfect shade long after summer is achievable with Vita Liberata Self Tanning Gradual Lotion, Body Blur, and pHenomenal Mousse. While I’m skeptical about self-tanners and have a fear of reliving my “orange period”, I gave Vita Liberata a try and was pleasantly surprised. Vita Liberata has created the world’s first non-toxic and organic tan, free from parabens, perfume and alcohol with certified organic ingredients that nourish and condition skin. Their products help you achieve a gradual tan that develops naturally and deepens with regular use. 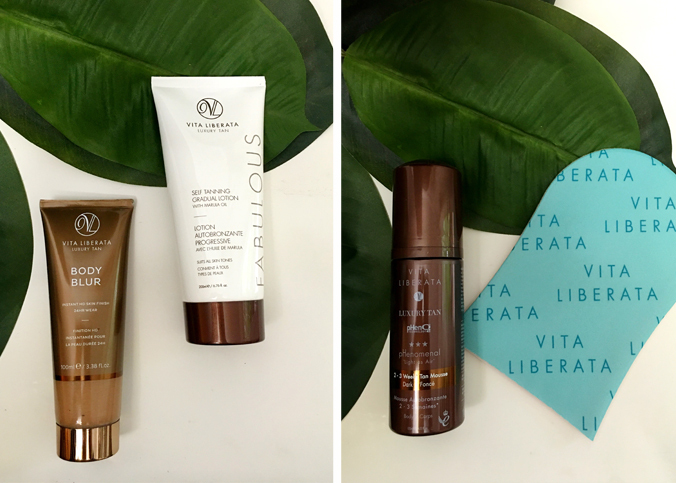 Unlike other self-tanners, Vita Liberata products are odorless and dry almost instantly. Fabulous Self Tanning Gradual Lotion – Perfect for dry, sensitive or mature skin types, this two-in-one tanner gives you everyday skin hydration with a subtle sun-kissed glow. Certified organic botanicals and a moisture-locking system guarantee a perfect fade. Additional ingredients repair, condition, moisturize, firm and soothe the skin while providing anti-inflammatory benefits, too. How to Use: Exfoliate your skin but do not moisturize or use a moisturizing shower cream prior to use. Use a tanning mitt and apply to skin in circular movements. Allow to sit for at least 4-8 hours before showering off. Body Blur Instant Skin Finish – Body Blur Instant HD Skin Finish gives the most flawless skin finish and is great for reducing the appearance of cellulite and spider veins. How to Use: A little goes a long way! For your body use a tan mitt and apply in small pea sized dots along limbs and then blend well in long circular movements. For face and décolleté, apply sparingly with a foundation brush. If excess product gets on hands, wash hands after application. pHenomenal 2-3 Week Tan – pHenomenal 2-3 Week Self Tan Mousse gives a longer-lasting tan than any other product I’ve found: 4x longer, lasting 2-3 weeks. How to Use: For the longest-lasting tan, apply three times over 12 to 24 hours, showering with water only before each application. 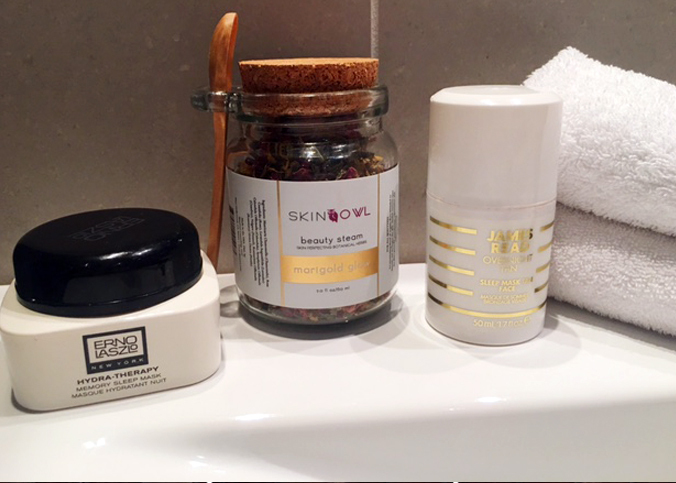 Ensure skin is clean and exfoliated. Use the Tan Mitt included and, with two to three pumps at a time, apply with circular movements. Tip: Use sparingly on hands, feet, knees, and elbows and like the Fabulous Self Tanning Gradual Lotion, do not moisturize prior to application.